The Ford Edge is car. It does car things. What do you need to know before you buy one? Don’t worry, we’ll tell you everything right here in our Buyer’s Guide. 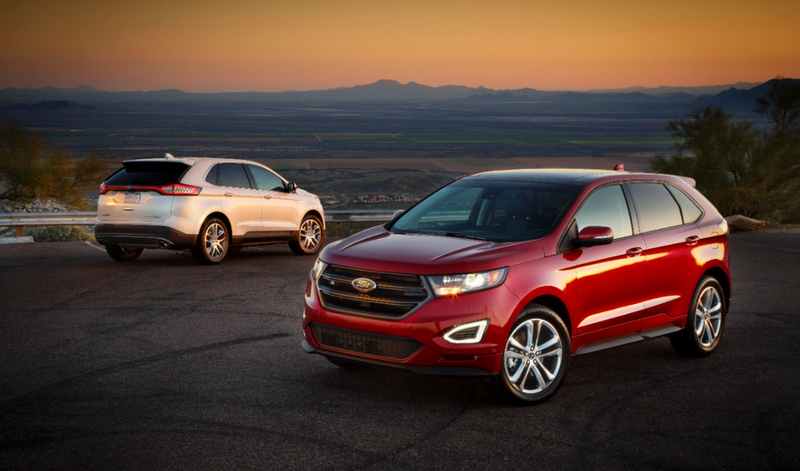 It’s hard to be excited about the Ford Edge. It’s just another car-based jellybean-shaped crossover that comes with all the features you could have predicted. Wanna guess which powertrains it comes with? Correct! Some turbo fours and a V6. Does it come with a bunch of safety features like automatic parking and adaptive cruise control? You bet. Crossover shoppers eat that stuff up. If you’re even considering the Ford Edge, let me just give you the info you’re looking for right away: The 2.0-liter gets 30 MPG, the car does fine in crash tests, and you can get plenty of safety features to keep you, your spouse, and your 2.2 kids out of harm’s way. Also, it drives, steers, and stops. Okay, you should have all the info you need now. The vehicle is almost if not completely devoid of groundbreaking features, design styles, or packaging solutions as far as the press release describes. As of publishing, whatever is premium or special in this vehicle has not been discovered. To be sure, the Jellybean’s 2.0-liter I4 does get some new twin scroll turbos, and that 2.7-liter EcoBoost from the F-150 is now available on the sport model and puts out 315 horsepower. And there are new nanny-like gizmos inside like automatic parking and adaptive cruise control, but, by and large, the new Edge is basically just like the old one with new sheetmetal and a revamped interior. That’s not a bad thing, necessarily. It’s just, well, a vehicle.